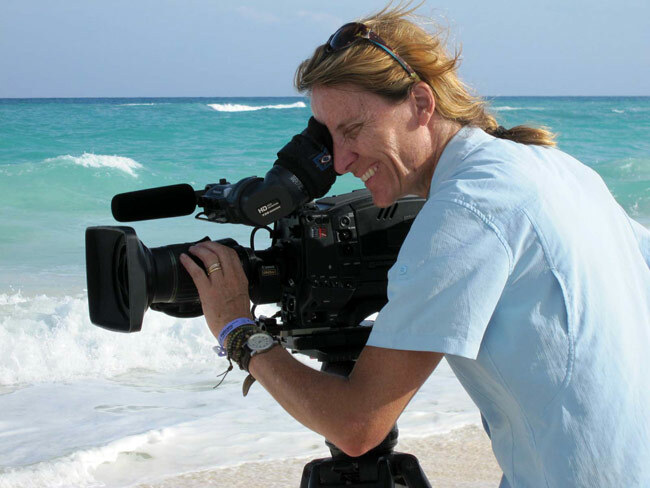 Cinematographer Ann Johnson Prum puts in a tough day on Cayo Largo, Cuba. 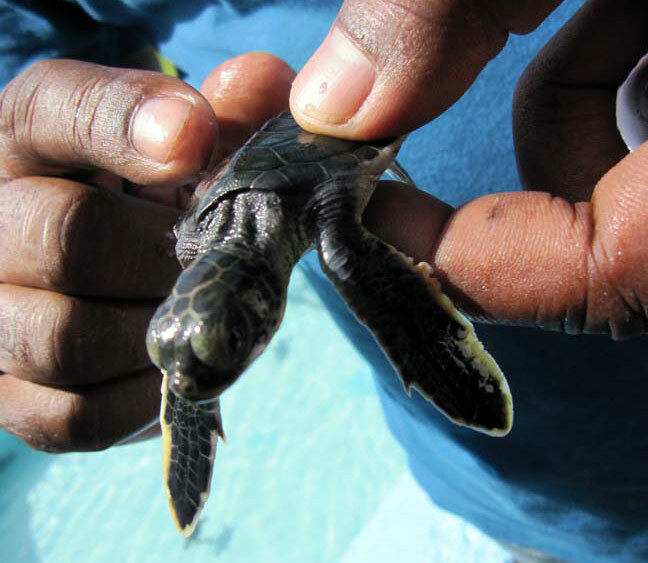 A baby green turtle about to be released on Cayo Largo, Cuba. 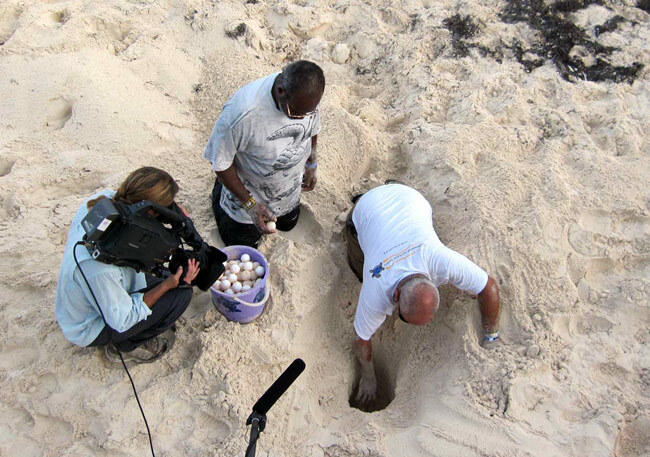 Biologists Felix Moncada and Gonzalo Nodarse dig up green turtle eggs for relocation. Cayo Largo, Cuba. Ann Johnson Prum shoots scenics in a riverbed. Humboldt National Park, Cuba. Producer Doug Shultz and Cinematographer Ann Johnson Prum. Humbolt National Park, Cuba (photo by Boris Ivan Crespo). 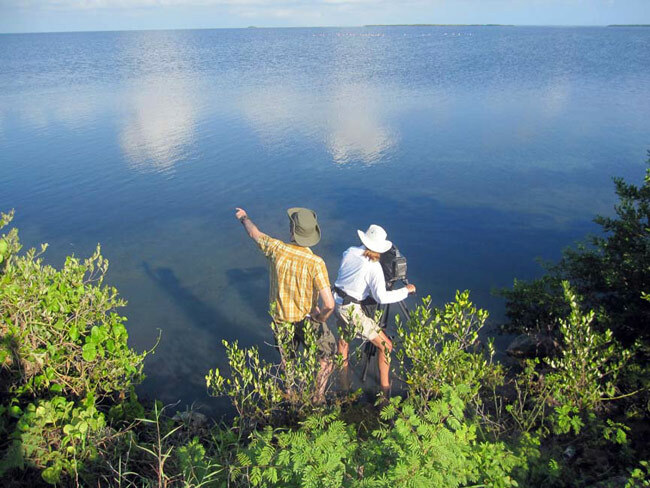 Producer Doug Shultz and Cinematographer Ann Johnson Prum, filming flamingos on Cayo Coco, Cuba (photo by Boris Ivan Crespo). 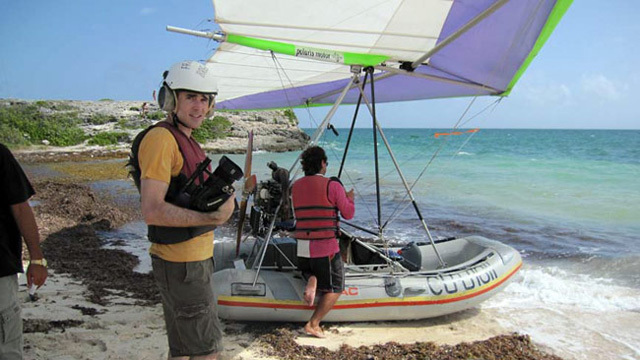 Producer Doug Shultz prepares to shoot some aerials in a questionable aircraft. Cayo Coco, Cuba (photo by Boris Ivan Crespo). 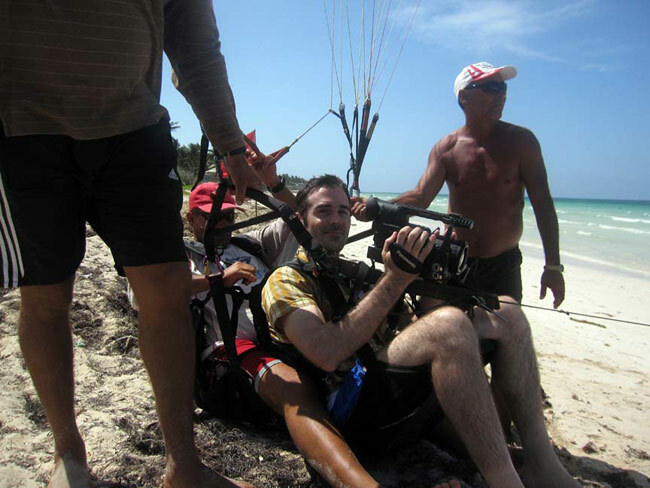 Producer Doug Shultz prepares to shoot aerials from a parasail. Cayo Coco, Cuba (photo by Boris Ivan Crespo). 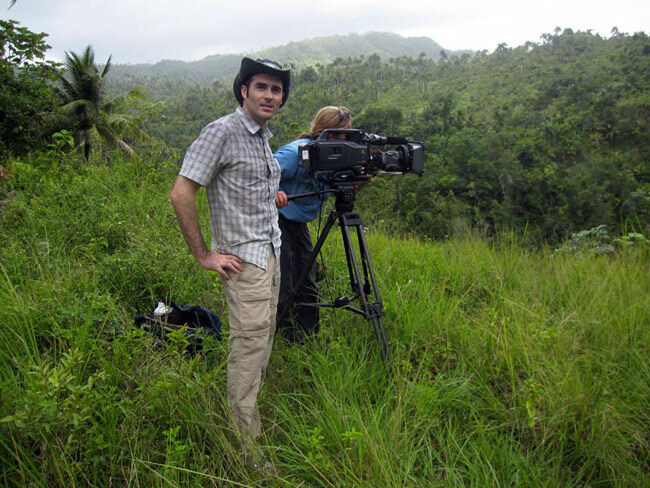 Cinematographer Ann Johnson Prum films crocodile expert Roberto “Toby” Ramos. Zapata Swamp, Cuba. 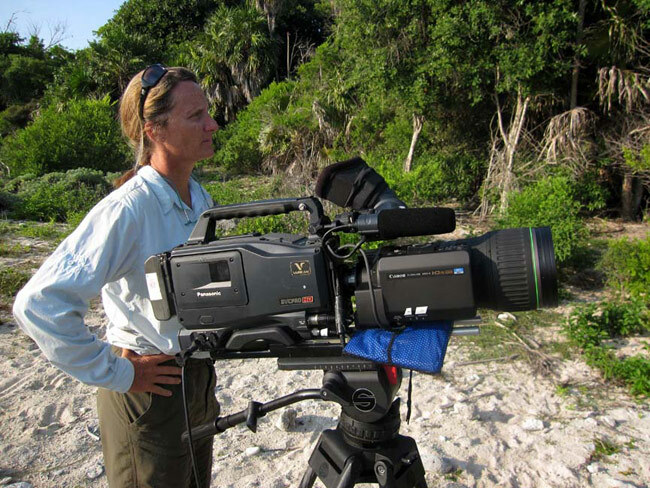 Cinematographer Ann Johnson Prum waits patiently for bee hummingbirds. Guanahacabibes, Cuba. 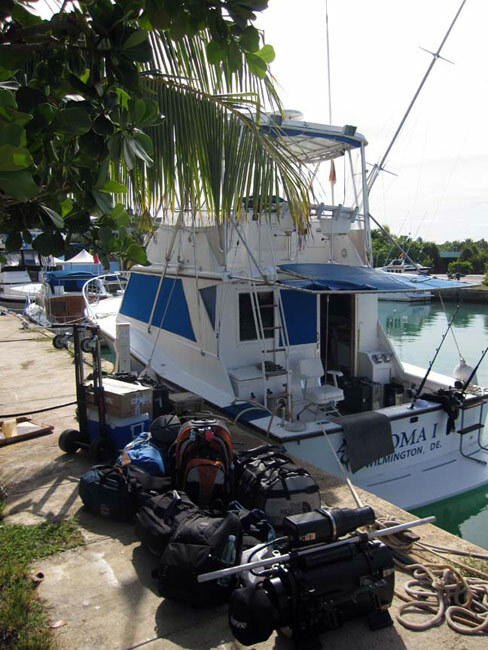 Underwater Cinematographer Shane Moore and Producer Doug Shultz load the camera onto the dive deck. 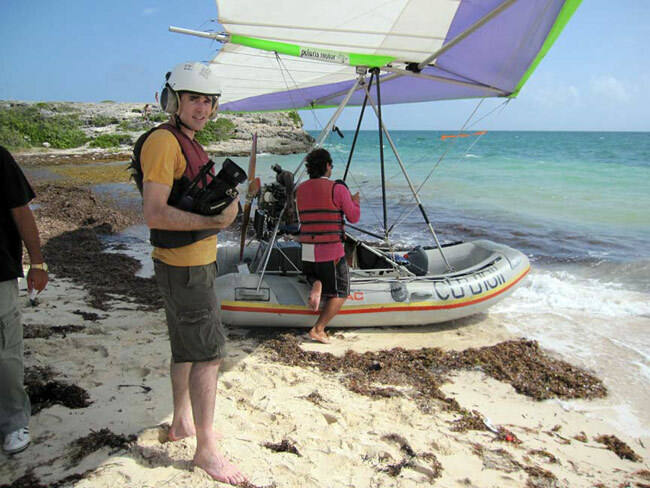 Cayo Levisa, Cuba (Photo by David Guggenheim). 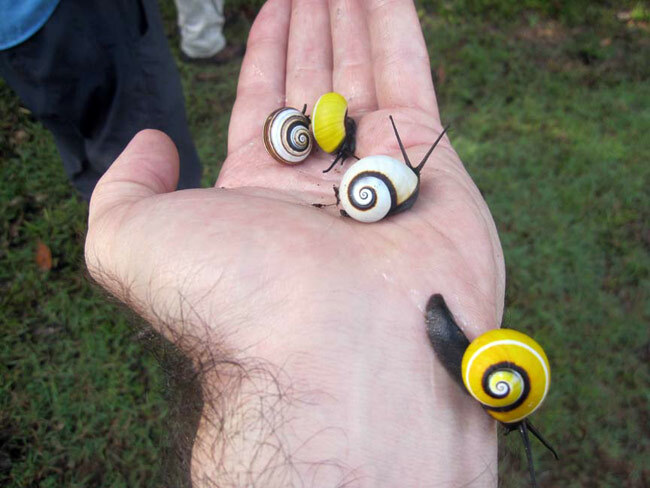 A handful of eastern Cuba's beautiful polymita snails. Humbolt National Park, Cuba. We’re gonna need a bigger boat. Marina Hemingway, Havana, Cuba. 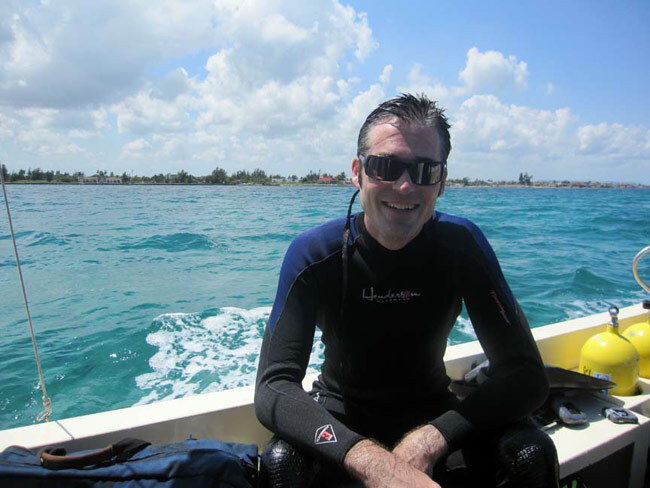 Producer Doug Shultz prepares for a dive (Photo by Shane Moore). The crew grows tired of climbing mountains. Humbolt National Park, Cuba. All photos by taken by Doug Shultz unless otherwise noted.